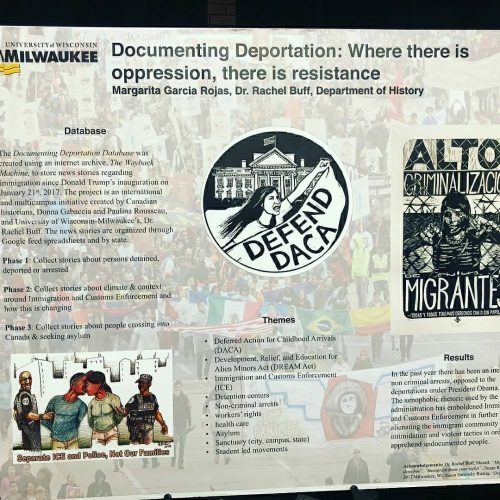 On April 27, 2018 at the 10th Annual UWM Undergraduate Research Symposium Margarita Garcia-Rojas, current Latin American, Caribbean, and U.S. Latin@ Studies (LACUSL) Major, presented Documenting Deportation: Where there is oppression, there is resistance. The research was carried out with Dr. Rachel Buff, Department of History. 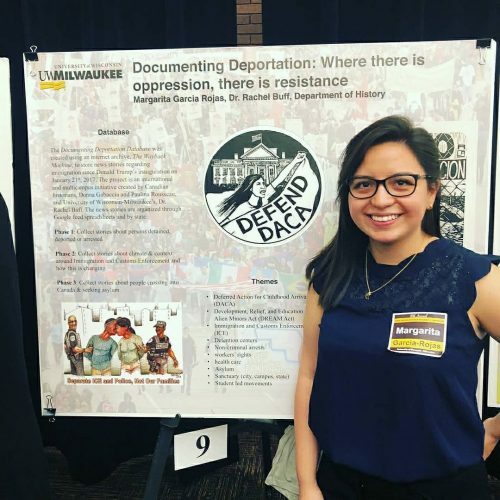 FELICITACIONES MARGARITA and thank you for your research contribution!